1. 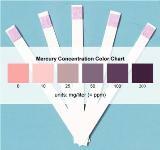 Why are the kits sold on Home-Health-Chemistry.com superior to other commercial test kits? • Versatile enough to be used on a variety of items. • Cost effective (low price per test). • Nondesructive (does not require the item tested to be harmed on come in contact with the indicator). 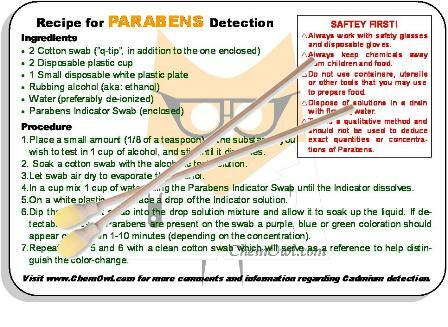 • Long shelf life and multiple swabs allow for long intermissions between tests. • Great for use in science projects. 2. How many tests can be conducted with each indicator swab? 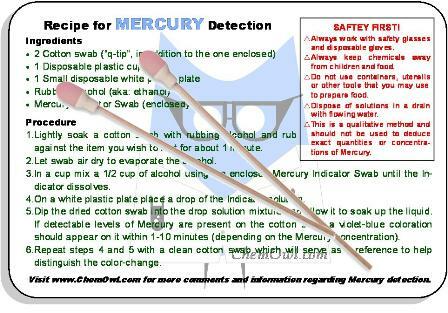 Each indicator swab is used to prepare an indicator solution, which can be used to conduct more than 10 individual tests. 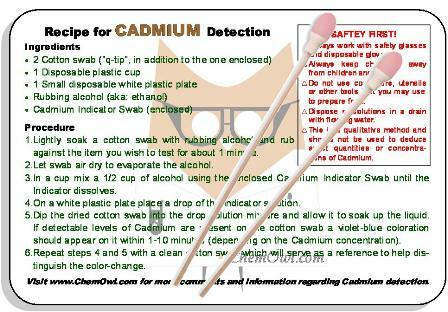 A typical test kit arrives with 5 indicator swabs, so that each test kit is good for more than 50 tests. Orders from within the US will be shipped via USPS First Class Mail, which usually arrive within 3 days . International orders will be shipped from the US via standard international postal service, which may take several weeks. To inquire about expedited shipping options please contact us. No arrival date guarantees are made. 4. Is it possible to expedite the shipment of my order? Yes. 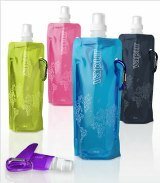 Orders can be shipped with USPS expedited shipping. To inquire about expedited shipping options please contact us. 5. 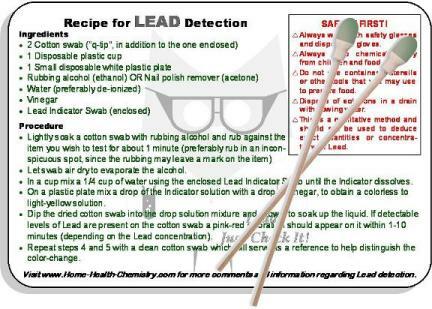 Can Home-Health-Chemistry's test kits be used for a science fair project? Certainly, our test kits are designed to be implemented in a variety of science experiment, and can easily and safely be managed by school students. 6. Are the indicators used in the test kits safe? 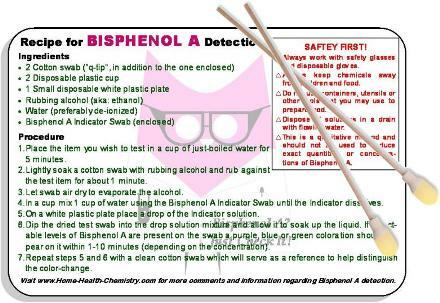 Yes, all the indicators used in the test kits and their corresponding concentrations are safe to handle. It is still important to follow all the relevant safety precautions outlined in each test procedure. 7. What are the detection-limits of the test kits? The detection limit of each of the test procedures is 0.1%, which is equivalent to 1000parts-per-million (ppm) in solution. 8. Can the test kits be used to determine the exact quantities of chemical hazards? 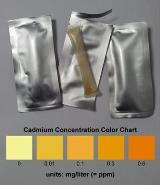 The test kits are qualitative (not quantitative), meaning that a color change indicates the presence of the matching hazardous chemical, but this cannot be used to derive a numerical result of its concentration. However, you may compare the color change between different test results and state that the stronger the color-change the higher the chemical concentration. For example a light color change would be associated with a low concentration and a dark color change would be associated with a high concentration. This method will allow you to compare between results without requiring specific numerical data. 9. What type of alcohol is recommended for use in the test procedures? For those test procedures that require rubbing alcohol as a solvent, isopropyl alcohol (IPA) based rubbing alcohol is better than ethanol, since it is a stronger solvent and will allow the collection of more test material. But be careful when using IPA, since it may leave a mark on the item you are testing because it is a stronger solvent. If you have any questions or comments you are always welcome to contact us.